Prehistoric inhabitation of the district is well attested (see for example the article on Fish Hoek). About 2000 years ago the Khoikhoi migrated towards the Cape Peninsula from the north, displacing the San and bringing with them their herds of cattle and sheep. 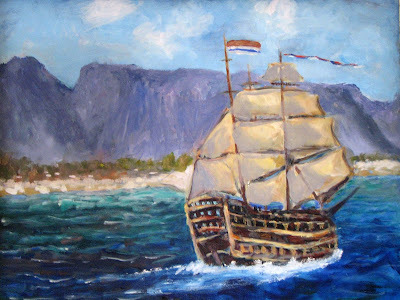 It was the Khoikhoi who were the dominant local tribe when the Europeans first sailed into Table Bay. António de Saldanha was the first European to land in Table Bay. He climbed the mighty mountain in 1503 and named it 'Table Mountain' ('Montanha da Mesa' in Portuguese). The great cross that the Portuguese navigator carved into the rock of Lion's Head is still traceable. 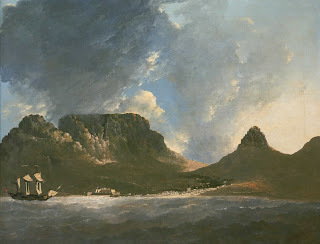 In 1796, during the British occupation of the Cape, Major-General Sir James Craig ordered three blockhouses to be built on Table Mountain: the King's blockhouse, Duke of York blockhouse (later renamed Queen's blockhouse) and the Prince of Wales blockhouse. Two of these are in ruins today, but the King's blockhouse is still in good condition. and easily accessible from the Rhodes Memorial. 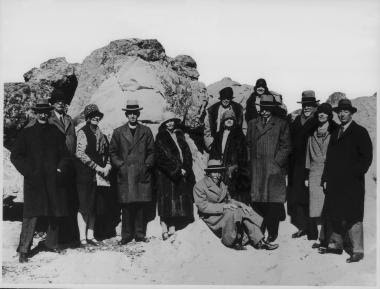 Between 1896 and 1907, five dams, the Woodhead, Hely-Hutchinson, De Villiers, Alexandria and Victoria reservoirs, were opened on the Back Table to supply Cape Town's water needs. A ropeway ascending from Camps Bay via Kasteelspoort ravine was used to ferry materials and manpower (the anchor points at the old top station can still be seen). There is a well-preserved steam locomotive from this period housed in the Waterworks Museum at the top of the mountain near the Hely-Hutchinson dam. It had been used to haul materials for the dam across the flat top of the mountain. Cape Town's water requirements have since far outpaced the capacity of the dams and they are no longer an important part of the water supply. The mountain became part of the new Cape Peninsula National Park in the 1990s. 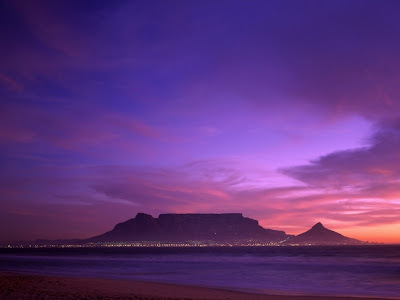 The park was renamed to the Table Mountain National Park in 1998. Fires are common on the mountain. The most recent major fire came in January 2006, destroying large amounts of vegetation and resulting in the death of a tourist. A charge of arson and culpable homicide was laid against a British man who was suspected of starting the blaze.